Wrapping up Bendapalooza with Bruce Timm‘s Batman, Robin, Batgirl and Harley Quinn from NJ Croce! 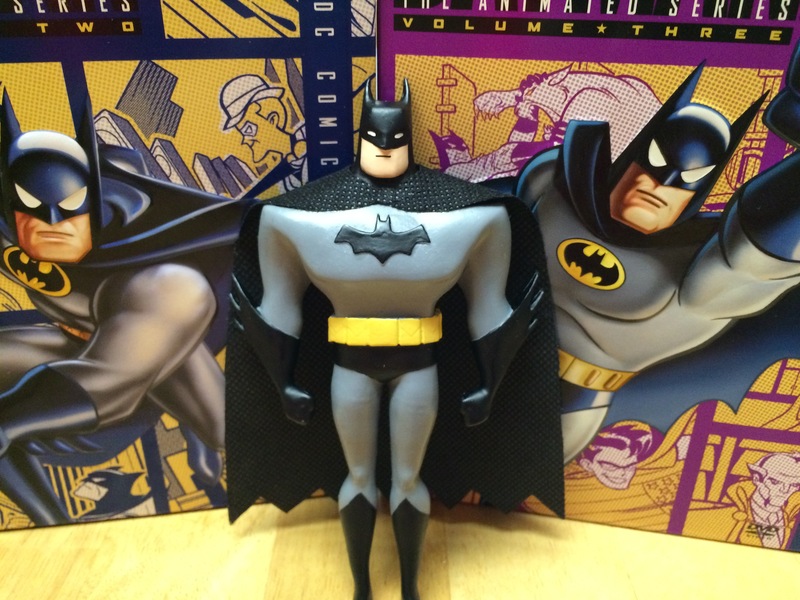 You gotta love the resurgence in animated Batman merch. Diamond and DC Collectibles in particular each have skins in this game but NJ Croce is right there with them. Right now, the bendables bastion is sticking with the later, sleeker New Batman Adventures designs. I’ve long leaned in that direction, preferring the more angular look to the rounded style of Batman: The Animated Series. 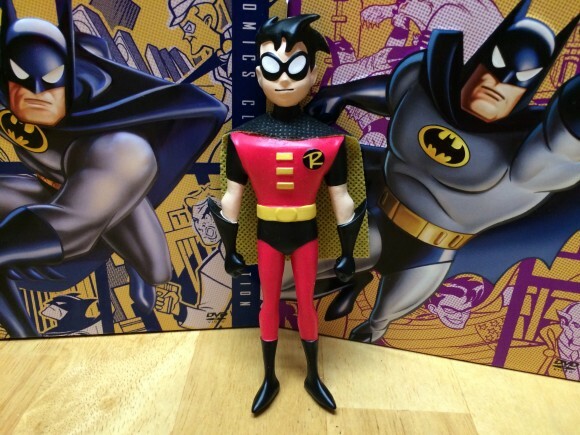 Coming later this spring — around May or so — there’ll be a boxed set of Batman, Robin, Batgirl, Alfred and Gordon. Today, we’re focusing on the singles of Batman, Robin, Batgirl and Harley Quinn. 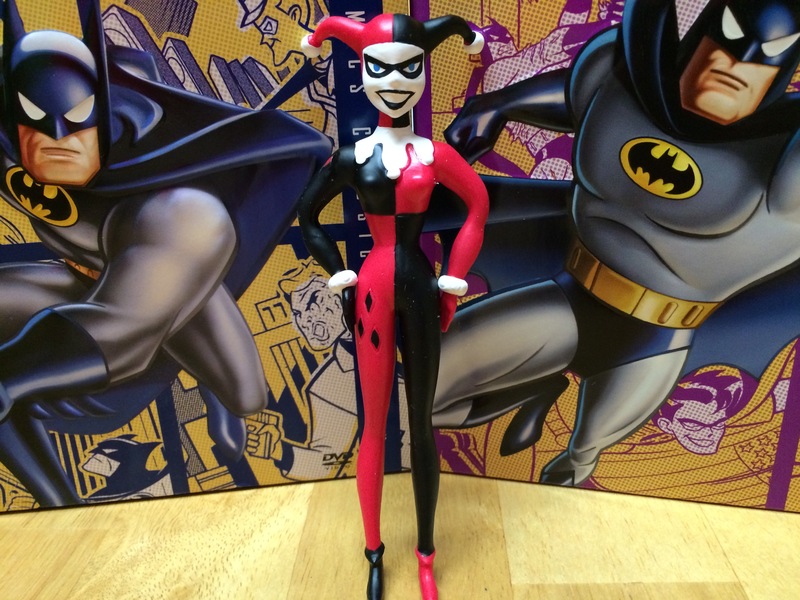 Picking Harley was an especially shrewd move because she’s at the peak of her popularity and pretty much anything her face is slapped on sells these days. 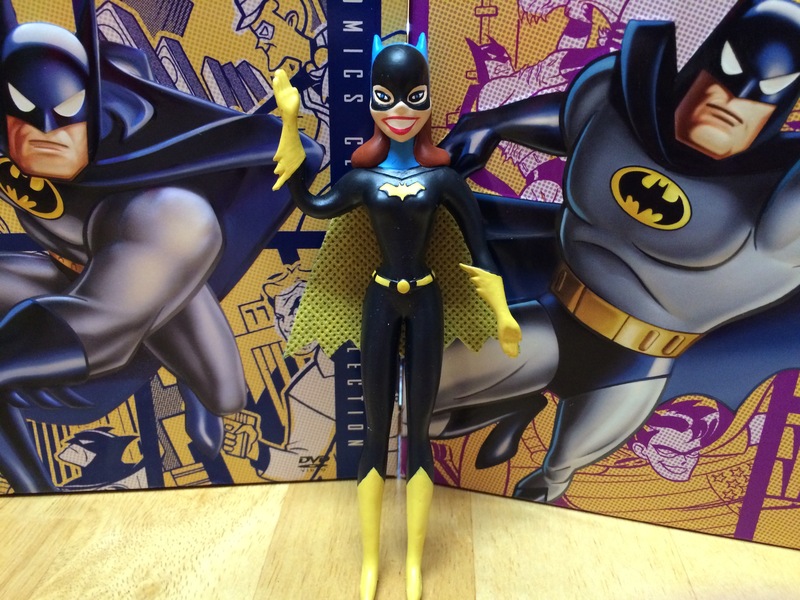 She and Batgirl are roughly the same size in this 5.5-inch scale. As a group, they’re in scale with one another — with one exception. 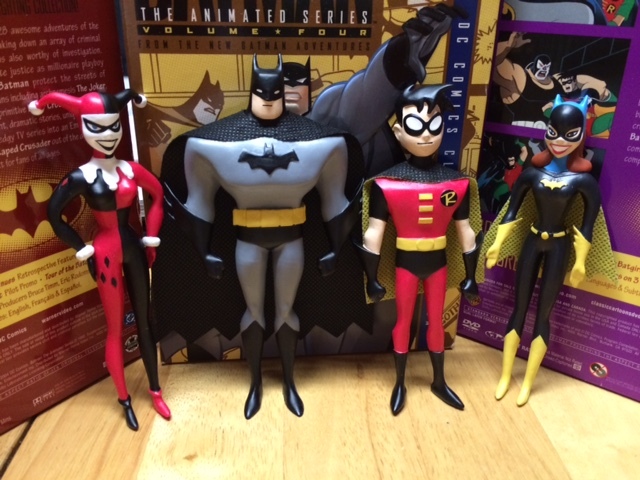 Batman is broad and tall, with Batgirl and Harley more spritely by comparison. The clean animation style translates very well to the bendable format, with NJ Croce‘s signature attention to detail making these as show-accurate as any other figures, past or present. … but standing with the others he’s a little off. But, really, that’s being picky for this sort of figure. Bendables, more than anything, are fun. They don’t need to be perfect to be enjoyed. And taking each of these figures on their own merits, they are downright superb. The designs are great and the craftsmanship is high quality. But I would have expected nothing less.